Playwright, poet, essayist, flamboyant man-­about-­town, Oscar Wilde pack an astonishing amount of work, genius, and controversy into two short decades, producing masterworks in every literary genre. This selection includes almost all of his short stories, including "The Canterville Ghost,­" "The Fisherman and his Soul,­" and "The Remarkable Rocket.­" Alongside THE MODEL MILLIONAIRE, Harper Perennial will publish the short fiction of Fyodor Dostoevsky, Herman Melville, Willa Cather, Leo Tolstoy, and Stephen Crane to be packaged in a beautifully designed, boldly colorful boxset in the aim to attract contemporary fans of short fiction to these revered masters of the form. Also, in each of these selections will appear a story from one of the new collections being published in the "Summer of the Short Story.­" A story from Simon Van Booy's forthcoming collection, LOVE BEGINS IN WINTER, will be printed at the back of this volume. * This e-­book contains 10 new illustrations. 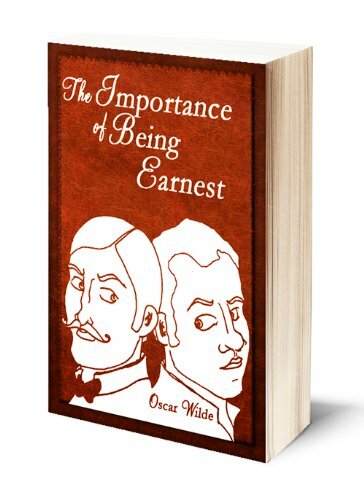 The Importance of Being Earnest, A Trivial Comedy for Serious People is a play by Oscar Wilde. First performed on 14 February 1895 at the St James's Theatre in London, it is a farcical comedy in which the protagonists maintain fictitious personæ in order to escape burdensome social obligations. Working within the social conventions of late Victorian London, the play's major themes are the triviality with which it treats institutions as serious as marriage, and the resulting satire of Victorian ways. Contemporary reviews all praised the play's humour, though some were cautious about its explicit lack of social messages, while others foresaw the modern consensus that it was the culmination of Wilde's artistic career so far. Its high farce and witty dialogue have helped make The Importance of Being Earnest Wilde's most enduringly popular play. The successful opening night marked the climax of Wilde's career but also heralded his . . . The studio was filled with the rich odor of roses, and when the light summer wind stirred amidst the trees of the garden there came through the open door the heavy scent of the lilac, or the more delicate perfume of the pink-­flowering thorn.